Hepatocellular carcinoma (HCC) with tumor thrombus (TT) in the right atrium is a critical condition . There is no standard treatment strategy, and surgery is challenging. The median survival is reported to be from 1 to 4 months, and it may be complicated by lung metastasis, pulmonary embolism, heart failure, and sudden cardiac death [1, 2]. 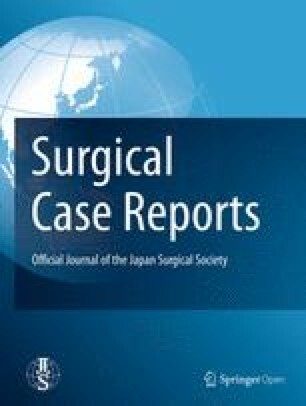 There are no effective nonsurgical treatments, and while long-term survivors have been reported after surgery, surgical mortality is reported to be 15% [1, 2, 3, 4, 5]. 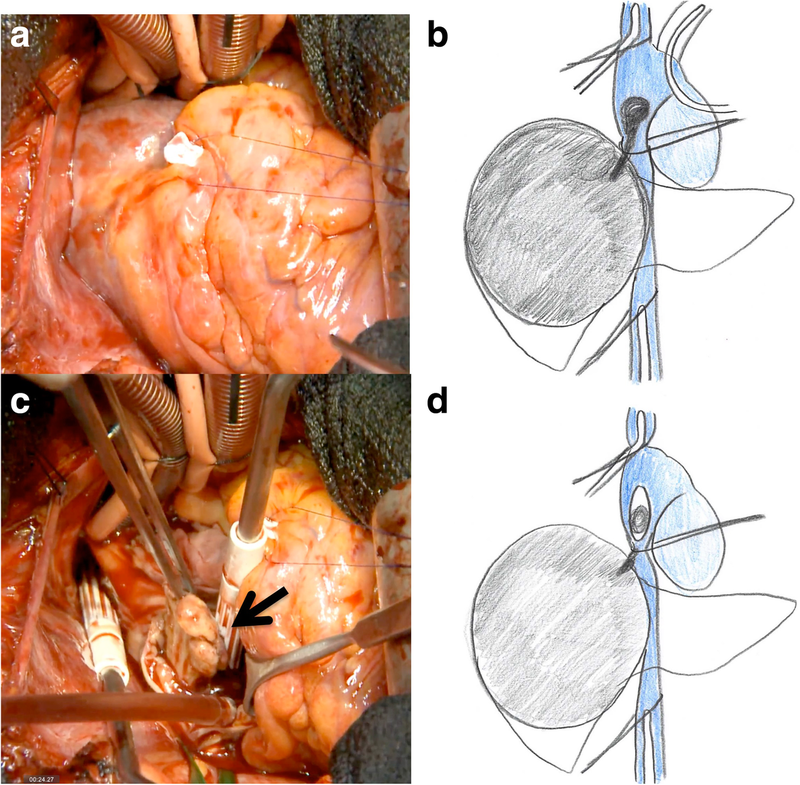 The general consensus is to perform hepatectomy prior to cavo-atrial thrombectomy, because of the risk of uncontrollable bleeding during the subsequent transection of the liver after heparinization . However, cavo-atrial thrombectomy prior to hepatectomy should be considered in cases with TT which fully enters the right atrium, reaches the tricuspid valve, and is of the pedunculated type, in order to prevent the ball-valve effect or pulmonary embolism . 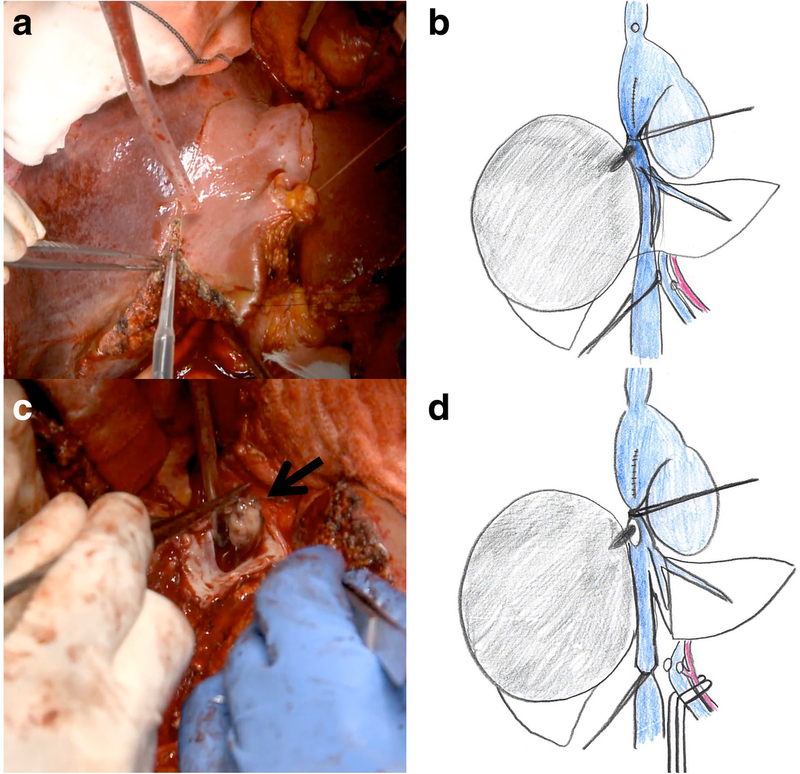 The general consensus is to perform hepatectomy prior to cavo-atrial thrombectomy, because of the risk of uncontrollable bleeding during the subsequent transection of the liver after heparinization. However, in cases of a large TT which enters the right atrium, reaches the tricuspid valve, and is of the pedunculated type, sudden cardiac arrest due to the ball-valve effect and pulmonary embolism have been reported. Therefore, cavo-atrial thrombectomy prior to hepatectomy should be considered as one of the options for HCC with TT in the right atrium [1, 2, 3, 4, 5, 6].